When you make that calculation out loud it sort of makes you sound like a sociopath, doesn’t it? Well, if the shoe fits wear it. Or take it off and fling it at my car, as you are wont to do. Oh, I know people have excuses. 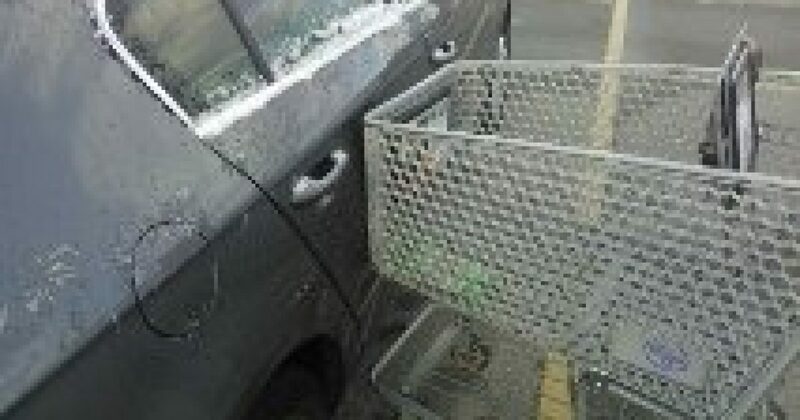 They take great exception to the idea that anyone would expect them to find a way to return the same that cart they somehow managed to retrieve in the first place. But before you spew your ifs, ands, and buts, let me ask you this: what if an insane and generous billionaire offered you SEVENTY BILLION DOLLARS, and, in exchange, all you had to do was personally return your shopping cart to the corral a few spaces away? I bet you’d find a way to make it happen, wouldn’t you? Against immeasurable odds, in spite of sore feet, in the face of vast paved expanses, you would SOMEHOW manage to traverse that awful distance and get that cart into that corral. I can’t offer you seventy billion dollars. But I can offer you the satisfaction of knowing that you have done your small part to clean up America’s grocery store parking lots, and set an example for all of the other potential cart-ditchers who would be tempted to follow your kind down this dark path. Please, don’t attempt to excuse your behavior by insisting that you’re simply giving the parking lot attendant “something to do.” Would you jam a rusty nail into an artery just to give a surgeon “something to do”? Would you set your house on fire just to give your local fire department “something to do”? No? Then stop acting like your laziness is really a job creation strategy. Your laziness is laziness, and it’s very unbecoming. You can ask my wife. Shopping cart etiquette is an issue which I have long championed. I spoke passionately about the subject on our first date, and it was then that she fell deeply in love. Most of us will rarely be put in a position to exhibit extraordinary heroism. Most of us lead ordinary lives and so our strength of character manifests itself in ordinary ways. That’s why we can not falter in these little moments. We will be defined by the doors we hold, the shopping carts we return, the garlic bread we forgo because we know we’re going to be sitting in a crowded movie theater right after we finish dinner. Let us not fail when the spotlight, however dim, however seemingly insignificant, shines upon us. This is my rallying cry. Return your carts. Return every cart. In this life we will never achieve Utopia, but we can at least fix the parking lot situation. Why do you Christians always throw the Bible in my face?